Dynamic Meditation is one of the many Active Meditations developed by the late Indian guru, Osho. 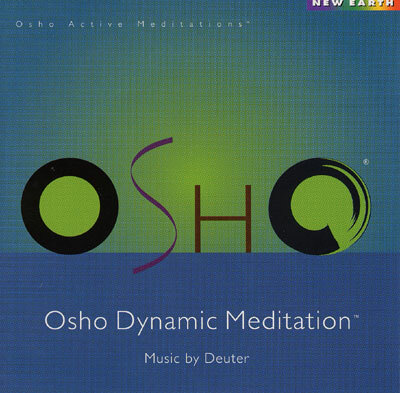 As with the other Osho meditation recordings, composer Deuter creates a thoughtful musical backdrop designed to help practitioners gain more from practicing meditation. The Dynamic method is the most physically active of all the Osho meditations. This approach has five stages, and four of the five phases require wild, free-form dancing. Predictably, Deuter's music is more lively and vigorous here than it is on the other Osho discs. For example, the music for stage one contains the steady beating of conga drums. Stage two is also very energetic and percussive. Again, Deuter uses hand drums to get the participant really moving. During stage four, the practitioner is supposed to stand completely still. Since this stage is inactive and (physically) passive, Deuter has wisely decided to leave this track completely silent. On the whole, Deuter's music is quite inspired and well conceived. When practicing this unusual form of meditation, it helps to have a soundtrack like Deuter's for guidance and motivation. An energizing morning meditation that opens breathing, body, and inner energies, followed by witnessing and dancing. Includes instructional mpeg video.